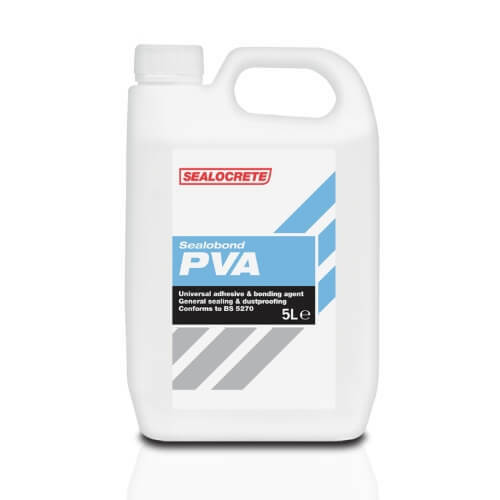 Sealocrete Sealobond PVA is a general purpose bonding agent for use with concrete, brickwork, plaster and timber. It can be used as an adhesive, primer, bonding agent and dustproofer. For internal use.